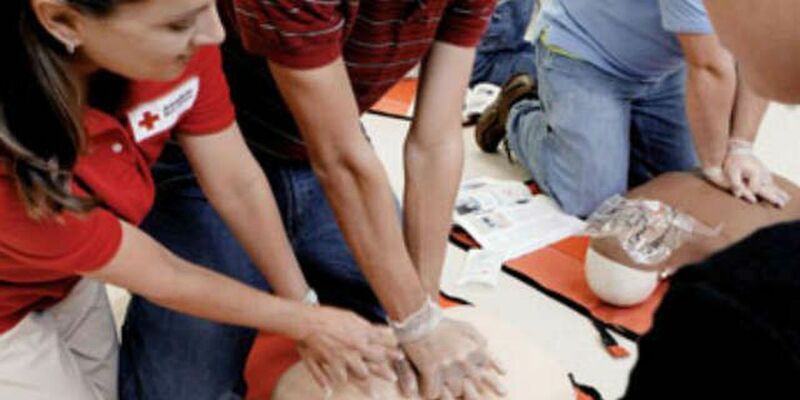 CLEVELAND, OH (WOIO) - Lets face it, CPR training is something so many of us say we're going to get to, but just don't seem able to get to it. With it being Heart Month, it might be a good time to revisit the idea of equipping yourself with knowledge that proves again and again to be invaluable. Among those who know how lifesaving it can be: fire and EMS crews. Those who work in Shaker Heights talk about how often they see it work. Chief Patrick Sweeney says, "The patient survival rates on individuals that have had CPR started immediately are tremendous as compared to when CPR isn't started." But too often he says when they arrive at a scene where someone's heart has stopped, so has everyone around that person. No one is doing anything, so often and he calls that downright "troublesome." Paramedic, Joe Leiben, stresses, "CPR is very important to circulate the blood and oxygen in someone's body when they go into cardiac arrest.."
He goes on to explain after only a few minutes, it's estimated 4 minutes to be more exact, vital organs start to die without blood pushing through. That's why it's even gotten to the point that only chest compressions are needed by the good Samaritan on the scene. But, of course, they need to be done right..." we need to get the word out." The chief says, "that we need to get people to want to learn that skill and be prepared." In fact, even with their latest lifesaving technology, when trained rescuers find someone in cardiac arrest CPR is their first "go-to too" too! The chief adds, "it's scary to get involved but, the rewards are tremendous." Even with organizations like University Hospitals are training thousands of people each year for free. It's believed so many more need to get in on this after all you never know when the one who needs your help might be the one you love. To find a training session near you anywhere in Northeast Ohio you are encouraged to dial the call to action hotline: 440-735-3513.